Mobile content is limited by the small screens of smartphones, tablets, and laptops. 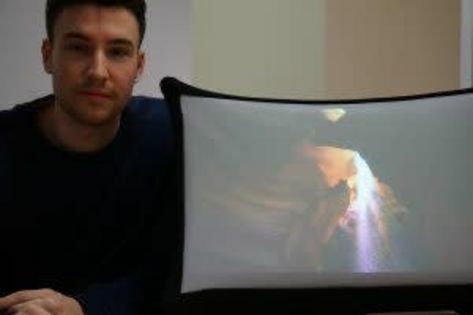 Arovia has addressed this physical limitation by developing the Spontaneous Pop-Up Display (SPUD), a portable display system that allows users to quickly “pop-up” a 24-inch screen (though other screen sizes possible) that connects to any of their mobile devices, and then collapse it for immediate portability. Through a successful Kickstarter launch for our first-generation SPUD, Arovia has already begun validating the market need for SPUD. 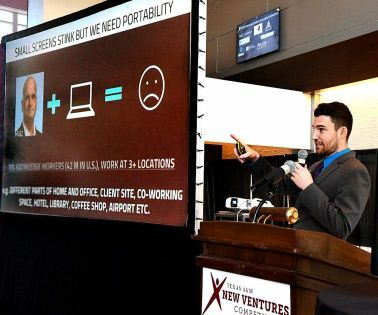 Arovia’s ideal initial customer is the “Mobile Millennial,” who are 25-34 years in age and early adopters of technology that comprise both Mobile Professionals (e.g. salespeople, trade show exhibitors, internal auditors, and any other mobile workforce) and Mobile Consumers (e.g. gamers, people who go camping or tailgating, spend hours at coffee shops, and socialize in groups). Please tell us a little bit about yourself and why you'd like to connect. Arovia + SOSV will follow up with you via email.